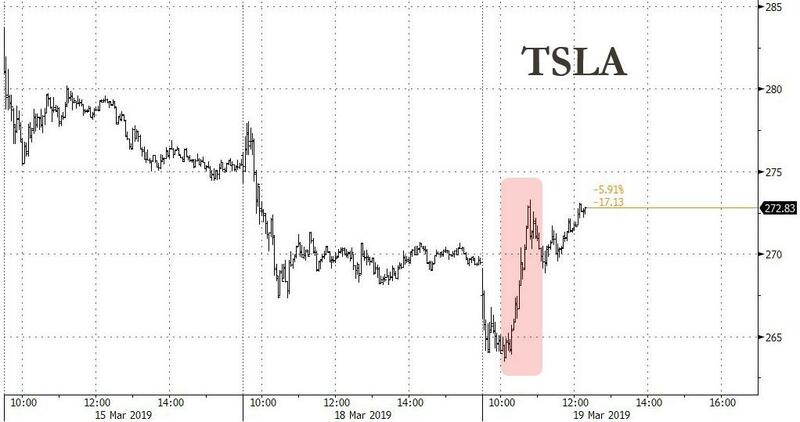 "I Wish Tesla Would Be More Honest": Pro-Tesla Blog Capitulates, Says Company In "Pretty Severe Cash Crunch"
When even Tesla's biggest sycophants and supporters start turning on the company, it may be time to panic. We have often been critical of, or have casually ribbed, the pro-Tesla lot over at the electrek blog for basically acting like an extension of Tesla's public relations department over the last couple of years. Truthfully, in some ways, the blog has probably performed Tesla's public relations functions better than the company has. The blog often seems to have access to positive sounding scoops and news before others in the mainstream media. According to an article from last year on The Drive, this has not only catalyzed the blog's extremely quick rise to relevance, but it has also helped electrek's head writer/editor, Fred Lambert, pad his pockets as a result of Tesla's referral program. As a result, support for Tesla has been unwavering over at electrek for years, as Lambert has constantly stood up for the company and railed against its critics, including short-sellers, despite the inconvenient truths he has experienced personally, like not being able to get in his own Tesla during the winter weather in Quebec. With each piece of Tesla news that the blog reports, it often includes a section called "Electrek's Take" where it offers up a perfunctory "analysis" of whatever it reported on, usually limited to applauding the company for whatever scoop it may have leaked to the blog to begin with. But that honeymoon now appears as if it could be over. Today, just hours after the Securities and Exchange Commission filed a motion brief lambasting Elon Musk and his lawyers for their "defense" (if you can even call it that) of the SEC's contempt of court allegations, the company also put out a tweet from it’s official Twitter account, claiming that, all of a sudden, price hikes were being postponed because of "unusually high volume" of orders. Naturally, the stock responded as a result, immediately trading off of its lows near $263 and moving higher - quickly - by $10, into green territory for the day. Really? Unable to process all orders? I wish Tesla would be more honest about this. Instead, they are leaving it open for people to place more orders at a discount and therefore, I believe the real reason they are doing this is that they need more orders by the end of the quarter. After several weird moves this quarter, I believe Tesla is under a pretty severe cash crunch — likely due in part to higher than expected costs of bringing Model 3 to Europe and China. Now, they are trying to get as many orders as they can to deliver every car they can make at the end of the quarter. It’s also mostly in the US, where they less expensive versions of the Model 3 are available, which is going to help reduce the number of vehicles in transit at the end of the quarter. Seemingly not only doubting Tesla's credibility in saying he wishes the company would "be more honest", he also makes the admission that he thinks prices are staying low to stoke demand - not because demand is too high. He then also concluded that the company could be in the midst of a cash crunch, a point that skeptics and short sellers have been arguing since - well, forever. Have things really gotten so out of hand at Tesla that their top PR supporters are actually turning tail and running? Or, more likely, have the referral checks to Lambert finally started to dry up? Regardless, we believe this is a development worth noting and we will keep our eyes on how the slant over at electrek changes in the weeks and months to come. Could it be possible that Fred is starting to feel the slight urge to turn off the "Autopilot" in his coverage of Musk, and save at least some face before the wheels on the Tesla narrative finally fall off?